These wonderfully soft sandwich buns have become a huge favorite in our family. Sometimes I make them with white whole wheat flour, but we all prefer buns made with the all-purpose flour the written recipe calls for. I always mix this dough in the bread maker and then shape the buns by hand. This recipe makes twelve small hamburger size buns… the same dough will also make twenty-four dinner rolls. I add the dry ingredients all at once to the bread maker, with the yeast on top, then add the beaten egg, oil, and water and let the dough cycle on the bread maker do the work. My bread maker doesn’t, but some machines require a specific procedure of adding the dry and wet ingredients… so follow the instructions for your particular machine rather than mine. Once the dough cycle has ended, it is time to remove the dough from the machine and shape the buns. 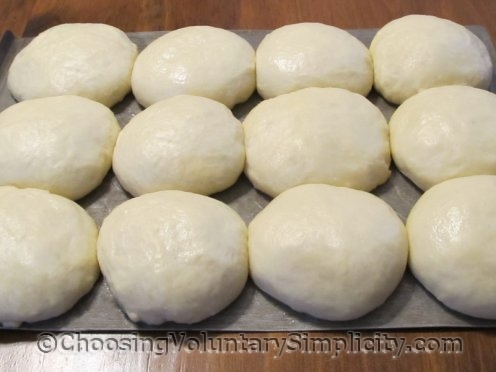 I have found that the easiest way to make buns of an equal size is to divide the risen dough in half… divide each half in half again… divide each of the four resulting pieces into thirds… and then shape each of these twelve portions of dough into a bun. This dough can be somewhat sticky to work with, and a small amount of olive oil on my fingers makes shaping the buns much easier. I put the shaped buns directly onto a greased or parchment paper lined cookie sheet… the buns will expand as they rise, so allow space between each one. The buns need to rise one more time until they have doubled in size… this usually takes about another twenty or twenty-five minutes. I bake the buns in a preheated 375°F oven. Baking time in my oven usually takes about twenty minutes. 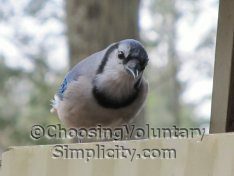 I do the usual test for doneness by tapping on the top of the buns… there should be a hollow sound and the tops of the buns should be nicely browned. These buns freeze beautifully… we especially like them for making impromptu sandwiches on a busy day. I think I have made every one of your recipes here, and they have all been wonderful. Same with these buns. I have made them twice since I read this post. I can’t thank you enough for this recipe. Years ago when my husband and I were first married I used to make buns like these for our lunches and then I lost the recipe. I don’t think this recipe is exactly the same but it’s so close the buns are just what we remembered. I have to add my 2cents with the rest. Your recipes are outstanding and I can always count on them being delicious. I am a regular reader. Love to come here! Well Shirley, I knew I should have checked here first for a recipe! These look wonderful. 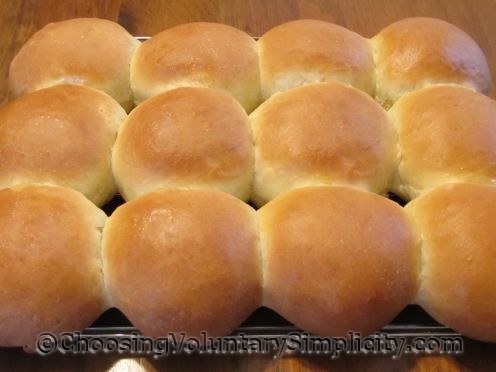 I made some buns last night by just using my regular bread dough and shaping them into rolls. Your picture of the buns looks so much better ! Thanks for this great recipe. Next time I need a neat recipe, I am coming straight to Shirley! Ha ! This dough does make wonderful buns and dinner rolls. It’s also great for soft breadsticks. My kids like these buns brushed with a little beaten egg and then topped with coarse sugar before baking. It makes a simple, not too sweet, sweet-roll that is an easy breakfast.